It's hard enough to squeeze in time to get in a good run — the last thing we want to make time for is a warm up. I get it. But here are 5 reasons you should reconsider. Why you NEED to be starting your run with a killer warm up! 1. Get your heart rate up. We aren't offering any free rides to muscles that aren't going to participate. The best way to make sure that your core and hips are awake and paying attention is with a runner specific warm up that isolates key muscles. Head over to Run to the Finish & check out this total body runner specific workout that I put together. 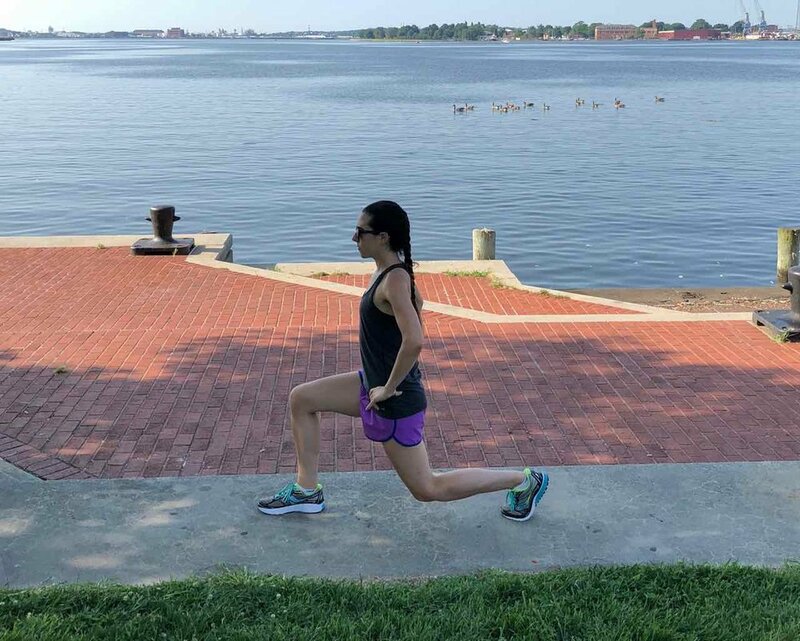 Not only is it a great pre-run warm up, but it requires ZERO equipment, can be done anywhere, and targets all the most important muscles to have a great run. A question I get a lot is, "When is the best time to do strength exercises?" and the answer would be BEFORE your run. Why? This is when muscles have the most energy and aren't fatigued by the run. Once you get them activated they are ready to fire and can do their strongest work. Unlike after your run, you will be able to achieve the best form for strength exercises which will result in the biggest strength gains. And getting stronger means getting faster. 4. Get the MOST out of your run. If we're going to invest all this time in running — we want it to be the absolute best right? This is exactly why you need to be doing a pre-run warm up. Getting your muscles ready for the action of running promises that when you actually run you'll be more effective. Drills like fast feet, high knees and but kicks prep your body for turning over your feet for that 180 foot strike cadence everyone talks about. So when you actually start your run you're ready to go! 5. Reduce risk of injury. There is nothing runners fear more than an injury. And yet we often times aren't doing enough to prevent them. Things like giving yourself adequate rest, getting regular massages or visits to the Physical Therapist. And yes — warming up before you run. The most common type of injuries for runners are over use - meaning using the same muscles in the same way causing wear and tear. The best warm up includes activating and strengthening key stabilizing muscles like outer hips and inner thigh. Muscles that require you to move side to site [laterally] instead of front to back. The stronger these side muscles get - the more pressure it takes off other muscles. Share the load — less risk for injury! Adding a warm up routine before your run might seem like a pain but in the end it pays off. Try adding this strength routine as a warm up before your run once a week. Check out my Instagram for even more options.